Plumeria cv. Palermitana bears perfect domes of white and yellow flowers with overlapping petals.This cultivar is known from the Italian city of Palermo, in Sicily. 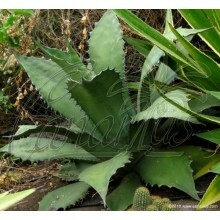 It is well adapted to the mediterranean climate and takes more cold than most other cultivars. 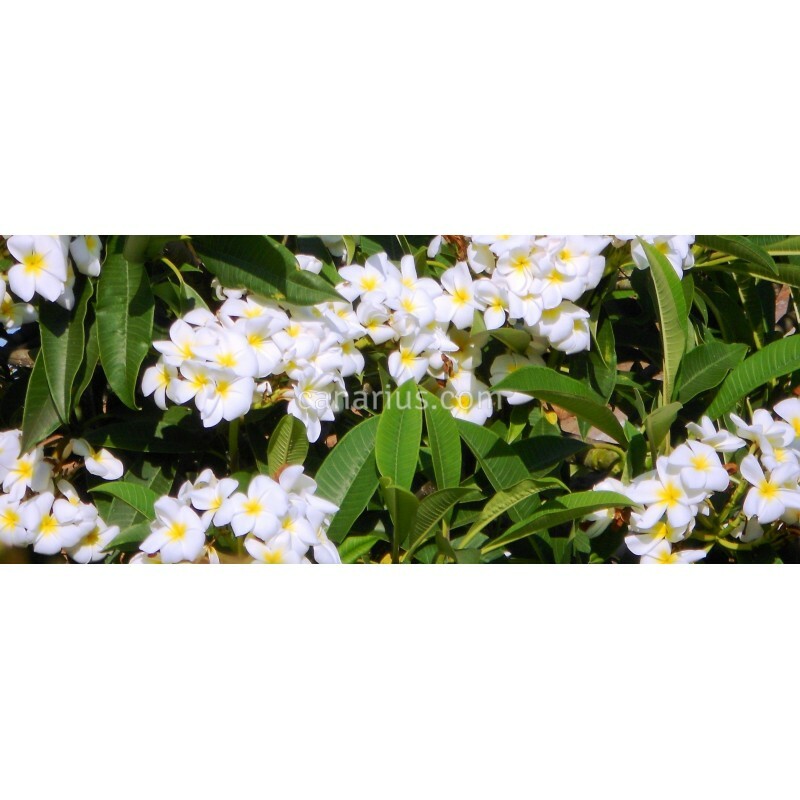 Flowers are white with yellow centre, with full overlapping petals. Fragrance is citrusy. Experts suspect that it could be a hybrid of Plumeria rubra with another species, because stems and growth are different, stems are grey and thinner at first. This is one of the cold hardiest of all Plumerias. It still has to be protected from frost or hail. 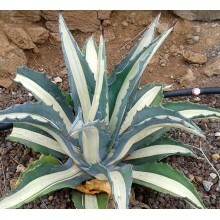 It is a cool-resistant cultivar widespread in the city of Palermo, Sicily. 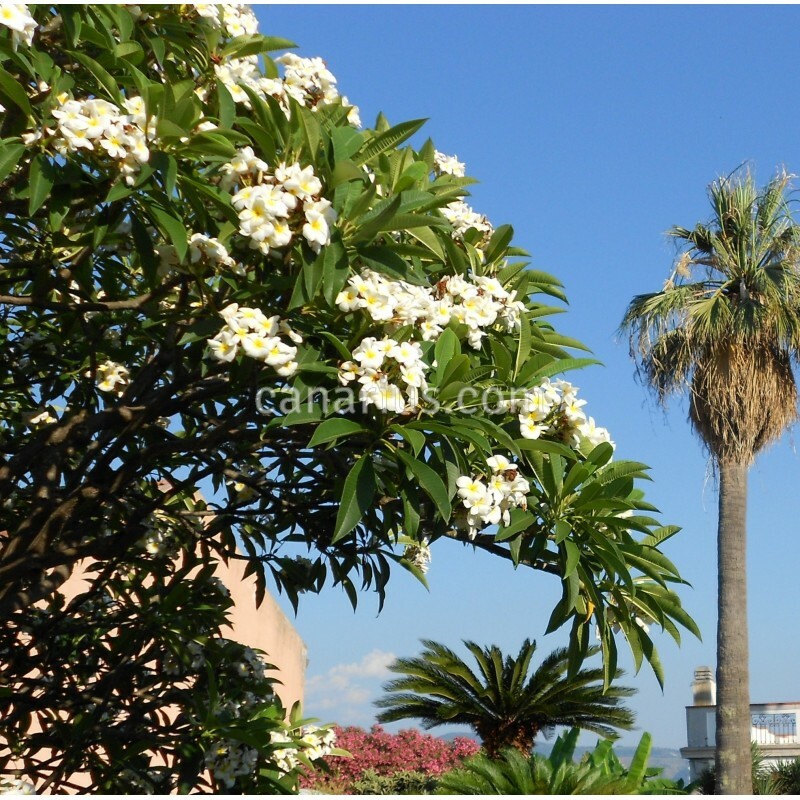 Here in the Canaries it sets leaves earlier than other plumerias and they also drop earlier. We ship a well rooted plant. 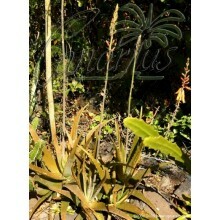 Adult, thick 40-80 cm plant, sometimes branched, sometimes not. 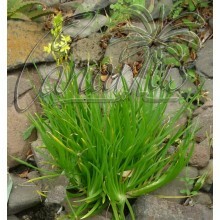 We ship a well rooted plant, 40-80 cm tall, sometimes branched, sometimes not. usually an adult tip-cutting that can bloom in one year or less. 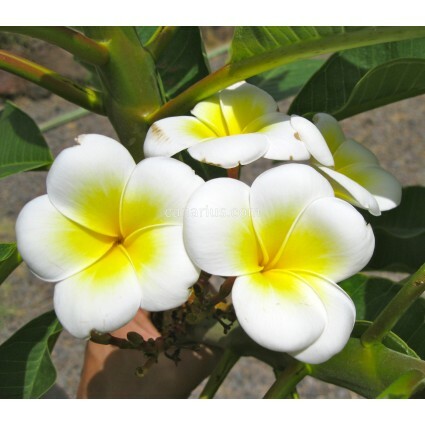 Plumerias are leafless in winter and spring and they can be shipped with pots or bare rooted in sphagnum.